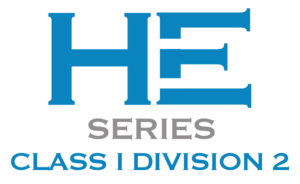 Class I Division 2 Hazardous Location Heat Exchangers | Ice Qube, Inc.
Ice Qube heat exchangers are now available with hazardous locations certification. Our Multi Surface Cold Core Technology (MSCCT) has been designed into a Class I, Division 2 configuration. The Class I, Div. 2 heat exchangers are third-party certified and listed by Underwriters Laboratories (UL) for gas groups A, B, C, and D. These highly efficient heat exchangers range from 5.7 to 83 W/°F (10.3-149.4 W/°C) and are available in 24VDC and 48VDC as well as 120VAC 60Hz and 230VAC 50/60Hz. Our MSCCT heat exchangers use a unique highly efficient core that’s unlike heat pipe technology. Our MSCCT cores transfer heat instantly from enclosure to ambient when heat comes in contact with the core from the enclosure. 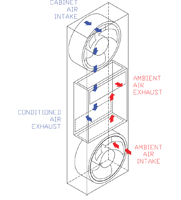 Heat pipe technology requires multiple stages of heat transfer from one material to another before heat from the enclosure equipment can be transferred to the ambient. Heat pipe technology also uses a liquid medium (refrigerant) in the transfer process which can leak and cause loss of cooling capacity. Our MSCCT uses many surfaces of heat transfer medium to reject heat, but only one stage is required to transfer heat which means instant heat transfer from enclosure to ambient air. This makes our MSCCT highly efficient.